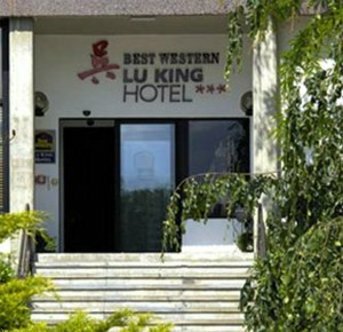 The Best Western Lu King Hotel is a comfortable, quiet hotel easily reachable both from the motorway exit and from the historical centre of Bologna. This is an elegant structure decorated with fine oriental furniture, completely climatized. Guests are invited to take advantage of the hotel's large private car park, the lounge and the laundry and valet services. Our rooms feature television, mini-bar and hairdryer. The hotel is near Orsi Mangelli horseback riding, the Sanctuary of Beata Clelia Barbieri - S. Giovanni and Palazzo Albergati. ISO9002 certified.